From Martha Jane Becker's book: Bramwell - The Diary of a Millionaire Coal Town"... What John Cooper started in 1884, those who followed him into the Cooper-Bramwell-Freeman triangle helped develop into one of the most unusual of all coal fields towns. He was born in South Staffordshire, England on November 14, 1842. His parents were too poor to send him to school, so at the age of six years he was taken by his father to start his life in the mines. He continue to study on his own and worked in the mines to gain experience and strength, so by the time he came to the United States in 1862 he had held about every position in the mines, except that of mine foreman. He came to the United States at the age of nineteen. He stayed in Pennsyvlainia until 1873 when he moved to Fayette County, WV. 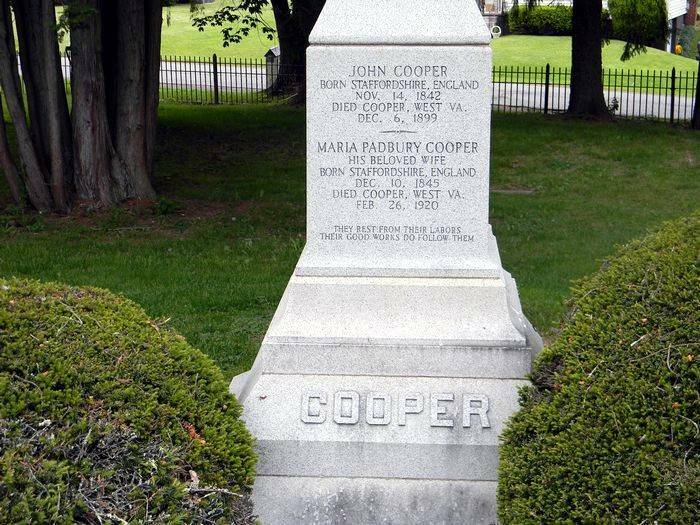 John Cooper married Maria Padbury (1844-1920). They were married on December 17, 1866 in the Church of St. Edmund Dudley, Staffordshire Co., England. He brought his wife to the United States in 1867. They arrived in Port of New York on January 16, 1867. The ship was the Edinburg. They had nine children. In 1884 John Cooper arrived in Mercer County and made his first lease with then the Bluestone Land Company. 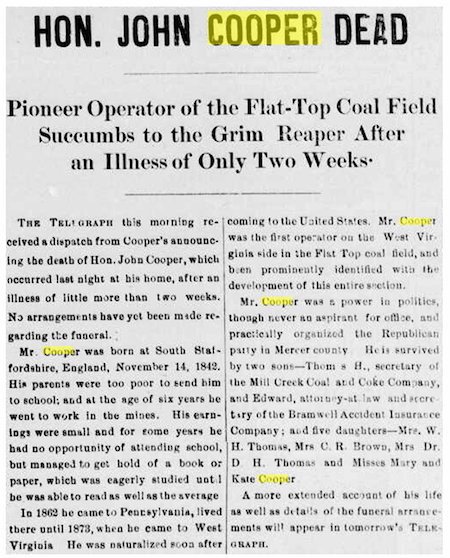 Mr. Cooper made a fortune in the coal mines of southern West Virginia and it is said that he left a honored name in the history of West Virginia. According to the great grandson of John Cooper he died on 6 December 1899. Ms. Becker's book on Bramwell's history futher details the life of this Bramwell legend and gives John Cooper's death date only as 1898. 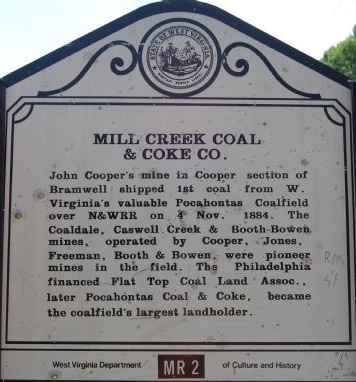 John Cooper's mine in Cooper section of Bramwell shipped his first coal from W. Virginia's valuable Pocahontas Coalfield over N&W Rail Road on Nov. 4, 1884. The Coaldale, Caswell Creek & Booth-Bowen mines were operated by Cooper, Jones, Freeman, Booth & Bowen. These were pioneer mines in the field. The Flat Top Coal Land Assocociation which later was named the Pocahontas Coal & Coke became the coalfield's largest landholder in the area. Edward Cooper was the son of John and Marie (Padbury) Cooper and built the historic Cooper House that remains in the Cooper family today. He was born On Feb. 26, 1873 in Treverton, PA. He represented the 5th district of West Virginia in Congress during the time of WWI. He was also a lawyer from schooling. However, he spent many years of his life working as a coal in the Pocahontas Coal Field operator as did his father before him. Cooper, Edward (1873-1928) — of Bramwell, Mercer County, W.Va. Born in Trevorton, Northumberland County, Pa., February 26, 1873. Republican. Lawyer; coal mining business; delegate to Republican National Convention from West Virginia, 1912; U.S. Representative from West Virginia 5th District, 1915-19. Presbyterian. English ancestry. Member, Freemasons; Elks. After graduating from Washington and Lee University in 1892, he was admitted to the bar and establised a legal practice in Bramwell, West Virginia. He eventually took over the management and development of his father's coal properties in West Virginia. He was elected to the United States Congress from West Virginia and served from 1915 to 1919. Following his service in Congress, he returned to the management of his coal companies. Edward Cooper was the second child of six children. 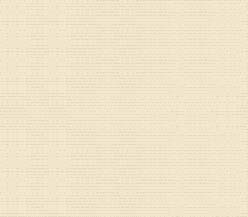 He graduated from Washington and Lee University in 1893. After receiving his law degree he worked as a lawyer in Bramwell for a couple years. Following the death of his father, John Cooper, Edward and his brother, Thomas H. Cooper operated the coal properties at Cooper, WV. Edward Cooper married Frances Douglass Smith, of Lexington, Virginia, daughter of James K. and Fannie (Douglass) Smith. Mr. and Mrs. Cooper had two children, Edward, Jr, 1897, and Frances Douglass, born 1902. His son, Edward Cooper, Jr. was once a member of the town council of Bramwell. Parents: John Cooper (1842 - 1899) Maria Padbury Cooper (1844 - 1920) Spouse: Frances Douglass Smith Cooper (1872 - ____), Children: Edward Cooper, Jr. (1897 - 1942). Siblings: Thomas Henry Cooper (1869 - 1911), Mary Padbury Cooper Shanklin (1878 - 1946), Burial: Hollywood Cemetery Richmond Richmond City Virginia, USA, Plot: Cooper Mausoleum. Evelyn Cooper Murphy was born on Nov. 15, 1929. She was raised and resided in the Historic Cooper House on Bramwell's Main Street. She passed away on Saturday, July 10, 2004 at her residence. She was a daughter of the late Edward Cooper, Jr. (1897-1942) and Mildred Mitchell Cooper. Evelyn was a lifelong resident of Bramwell and was a member of the Bramwell Presbyterian Church where she had served for 35 years as the organist and choir director. At the time of her death, she was a member of the Bramwell Town Council, and served for the last six years. She served as chairperson for Bible in the Schools at Bramwell Elementary until the time of its closing. She was a member of the Bramwell Historical Landmark Commission and the Bramwell Development Authority, and was an avid supporter of the Mercer County Humane Society and American Cancer Society. She served on the Bramwell Town Council for many years. She formerly worked for WKOY Radio where she had her own radio show. She also had her own dance band, the Rhythm Jets. She attended several private schools, including the Sunshine School in PasseGrille, Fl. And had taken private voice and piano lessons from Mr. and Mrs. Otto Ettinger in Pasadena, Ca. She was a poet and had a book published, and received many poetry awards including the Editor's Choice Award for Achievement in Poetry, which was presented to her by the International Library of Poetry. She was also a homemaker, where she was a loving and devoted wife, mother and grandmother. In addition to her parents, her husband, Harry Donald Murphy; and a sister, Douglass Lee Cooper Smith preceded her in death. She was the last surviving member of her immediate family. Donald "Don" Murphy, of Bramwell, died Wednesday, Aug. 5, 1998, at Bluefield Regional Medical Center of Bluefield. Don was born on Oct. 1, 1931, in Bramwell. He was one of two sons and a daughter of the late George Patrick Murphy and Margaret Marie Painter Murphy. Mr. Murphy had been a lifelong resident of Bramwell, was the mayor of Bramwell at the time of his death. He was a 1949graduate Bramwell High School. He was a graduate of Concord College. Thomas Henry Cooper ( July1, 1869 - March 23, 1911 ) --- He was a son of John and Marie (Padbury) Cooper of Bramwell, Mercer County. Thomas Cooper married Mary Ella Busey Baritz of Salem, VA on June 6, 1893. He was also a very successful coal baron. THOMAS HENRY COOPER . He moved his family to Salem, VA in 1904 and lived there until his death in 1911. In 1897 he was elected manager of the McDowell Coal & Coke Company and managed this company until his death. John Cooper was born Monday, November 14, 1842 in Pensnett village located in Kingswinford district, in the South Staffordshire area of Staffordshire County, England. Pensnett became Pensnett District of Kingswinford village in 1844 and is now a locality in the Metropolitan Borough of Dudley, West Midlands County, England. He died in his home in Cooper, Rock District, Mercer County, West Virginia on Wednesday, December 6, 1899. 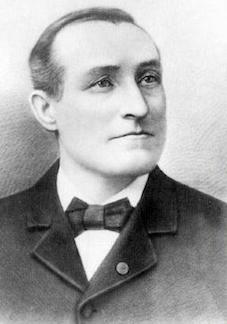 His first interment was on a “beautiful hill just back of his home” in Cooper, West VA on Sunday, December 9, 1899. He was moved to East Hill Cemetery in Salem, Roanoke County, Virginia when Maria died. Their interment date at East Hill was Monday, March 1, 1920. He and Maria were moved to the Cooper area in the Thomas Park Section of Woodlawn Memorial Park Cemetery in Bluewell, Mercer County, West Virginia during the 1930s. 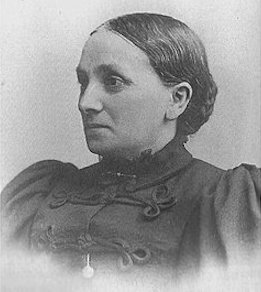 Maria (Padbury) Cooper was born Monday, December 9, 1844 in the Pensnett District of Kingswinford village in the South Staffordshire area of Staffordshire County, England. She died in her home in the Cooper section of Bramwell, Rock District, Mercer County, West Virginia on Thursday, February 26, 1920. Her first interment was at East Hill Cemetery in Salem, Roanoke County, Virginia on Monday, March 1, 1920. She was moved with John to the Cooper area in the Thomas Park Section of Woodlawn Memorial Park Cemetery in Bluewell, Mercer County, West Virginia during the 1930s. Note: James "Jim" Robert Shanklin's father was John Pack Shanklin, maternal grandparent's (great grandparents) were John and Maria (Padbury) Cooper. Jim's Father's Mother was John and Maria's daughter, Mary Padbury (Cooper) Shanklin (Jim's grandmother). 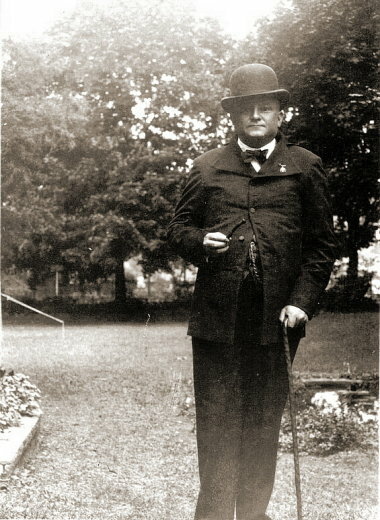 John Cooper at his home in Coopers, WV about 1890. Thomas Park Section of Woodlawn Memorial Park Cemetery in Bluewell, Mercer County, WV.